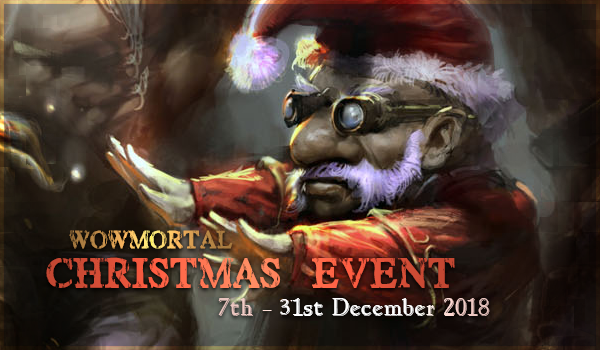 Celebrate the magic of the season in the holiday wonderland of WoWMortal. Gather and farm the amazing loot bosses with your friends for this festive Christmas-themed event. Happy holiday's to all of the wowmortal community, we have been through some tough times and we would just like to express how thankful we are for all of you who contribute to the server, whether it's voting or donating, or just hanging out! REMEMBER: from 25 till 27 the loot will be SPECIAL! The event starts on December 07 and lasts until December 31.